The Tempo J-Type is the pinnacle of achievement in modern acupuncture needle design and manufacture. Featuring a lightweight and ergonomic plastic handle, the J-type is designed for maximum comfort for both patient and acupuncturist. The J-Type needle line features the most extensive variety of lengths and gauges on the market in this style of needle, providing you with unprecedented flexibility and freedom of choice. 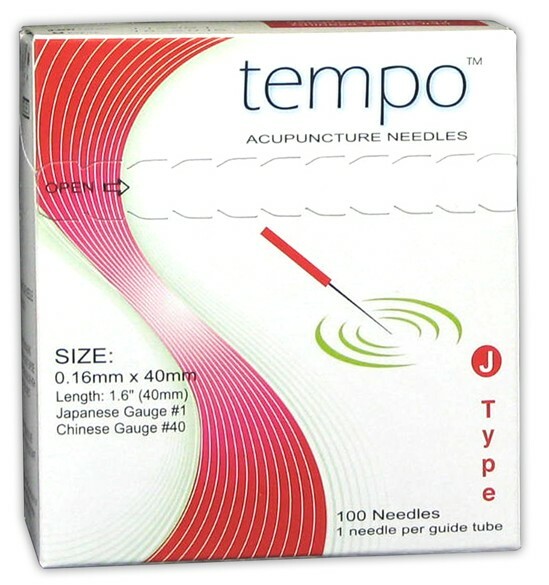 No matter what style of acupuncture you practice, Tempo J-type needles will exceed your expectations.